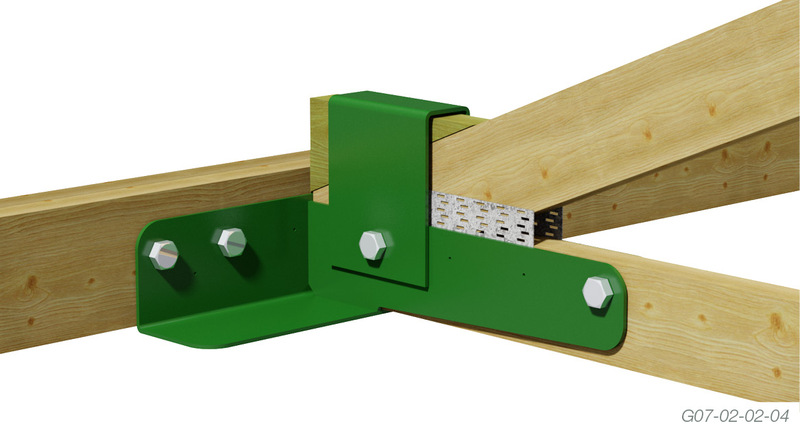 Place the Heavy Duty High Load Truss Boot in the correct position and drill holes into the bottom chord of the girder truss to suit M16 Multinail Hex Head bolts. Align the bolt holes of the Heavy Duty High Load Truss Boot to the bolt holes in the girder truss and install the M16 Multinail Hex Head bolts with the correct size washers. 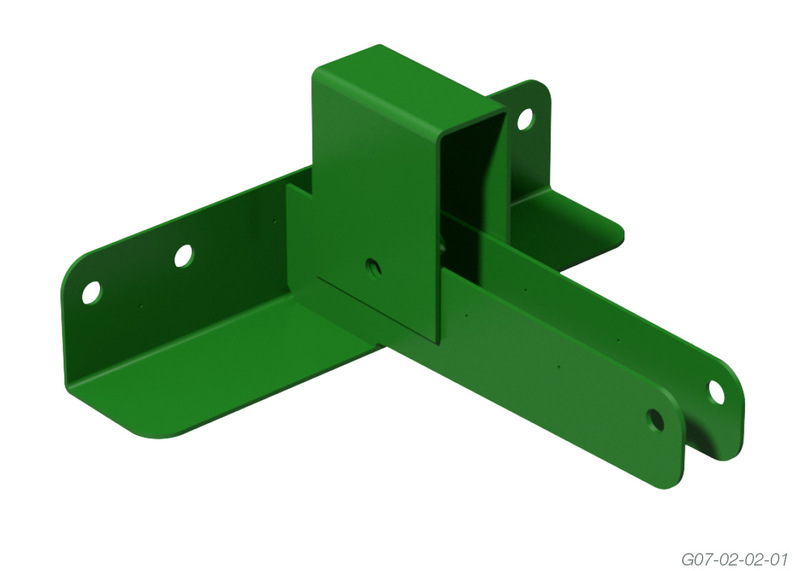 Place the supported truss on the bracket and drill holes into the supported truss to suit M16 Multinail Hex Head bolts. Align the bolt holes of the Heavy Duty High Load Truss Boot to the bolt holes in the supported truss and install the M16 Multinail Hex Head bolts with the correct size washers. Drill the hole into the supported truss to suit the recommended bolt size. This hole must align with the bolt hole provided in the truss boot. Neatly insert the timber wedge between the clip and the truss heel to ensure full bearing. 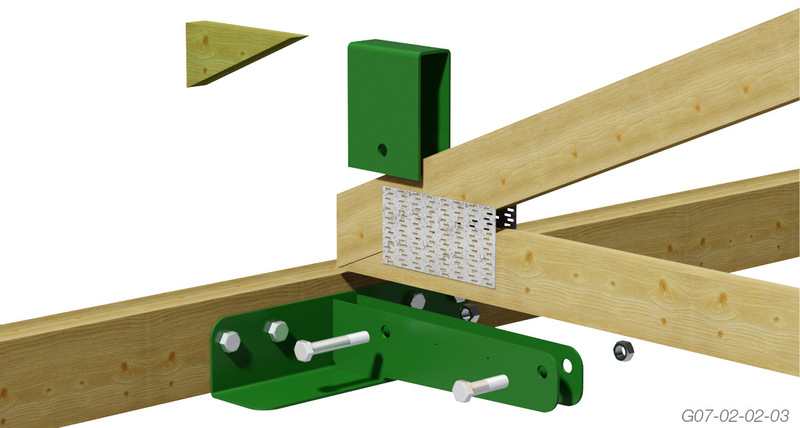 Place the clip over the supported truss and bolt into position.